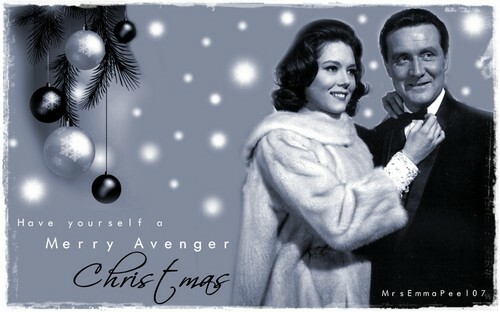 A Merry Avenger Weihnachten. Emma Peel and John ross from The Avengers.. HD Wallpaper and background images in the Diana Rigg club tagged: the avengers emma peel john steed diana rigg fan art tv show actress. Aww. Thank you so much. I'm so glad you love it. I hope you had a good holidays with friends and family. You're welcome. Oh yes...I had a very lovely holidays with my friends and family as well. I hope the Countess had a good one as well. A friend of mine read a message on her Fanpop wall stating she might be getting her internet back pretty soon. Lets hope. I hope everything is working out well for her. Boy do I feel bad! It took a post on MoR for me to realize this was here.